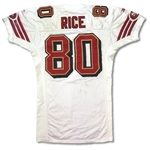 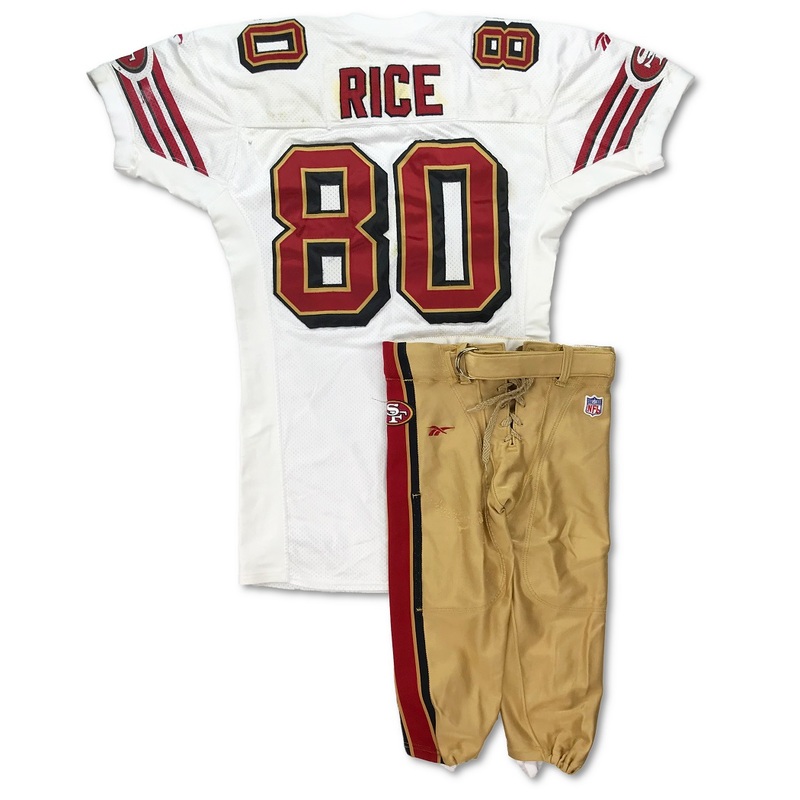 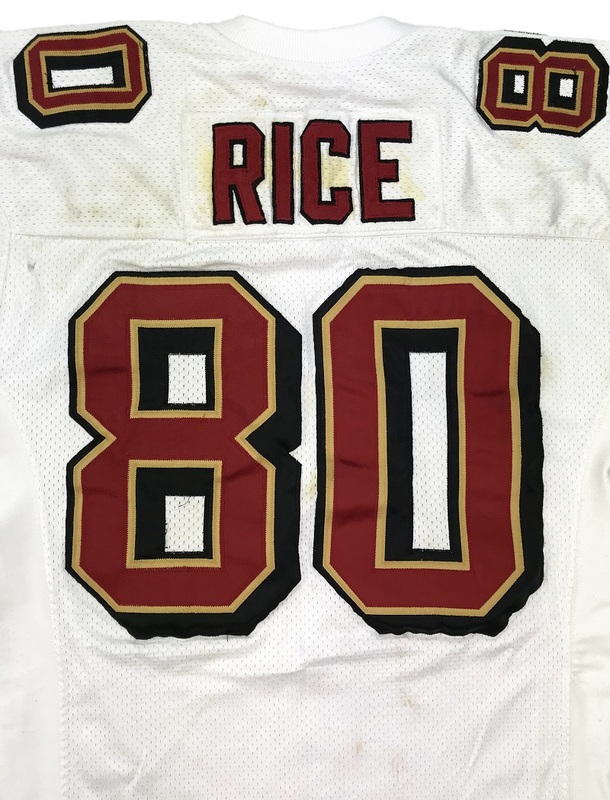 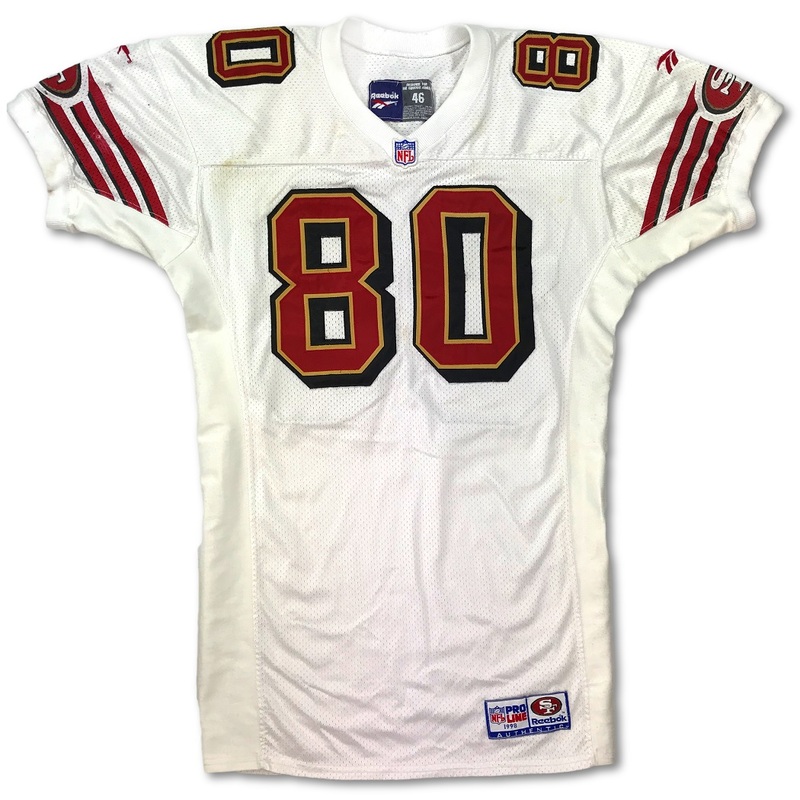 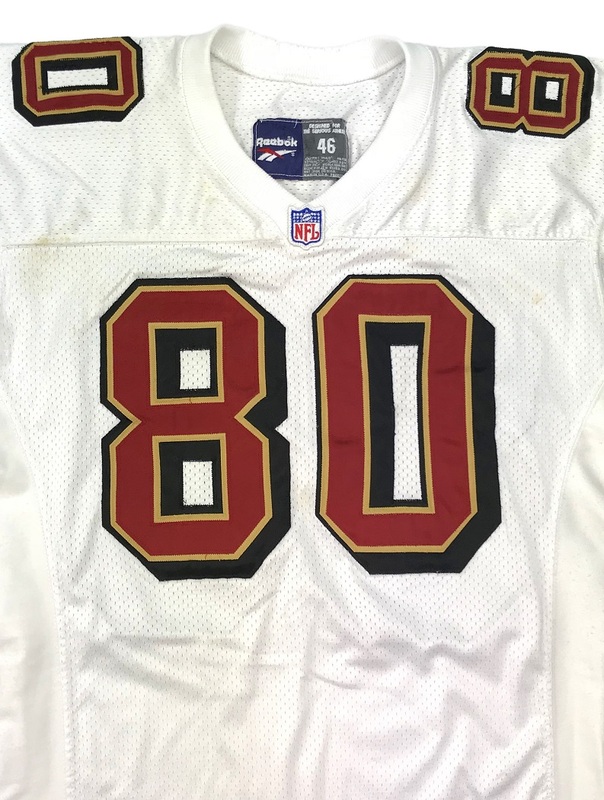 This San Francisco 49ers Road Uniform was worn by Jerry Rice during the 1998 NFL Season. 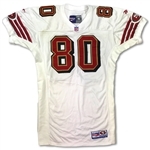 The white road jersey shows incredible use with three holes, scrapes, scuffs, wash wear, piling and heavy staining on the rear nameplate and shoulders. 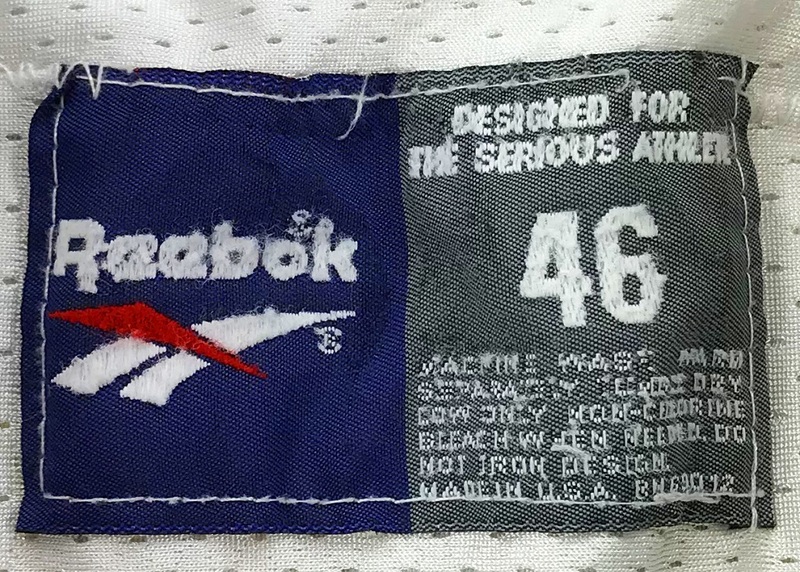 The garment has a Reebok manufacturer's tag in the rear collar that reads size "46". The numbers and nameplate are done in red, on gold, on black tackle twill. 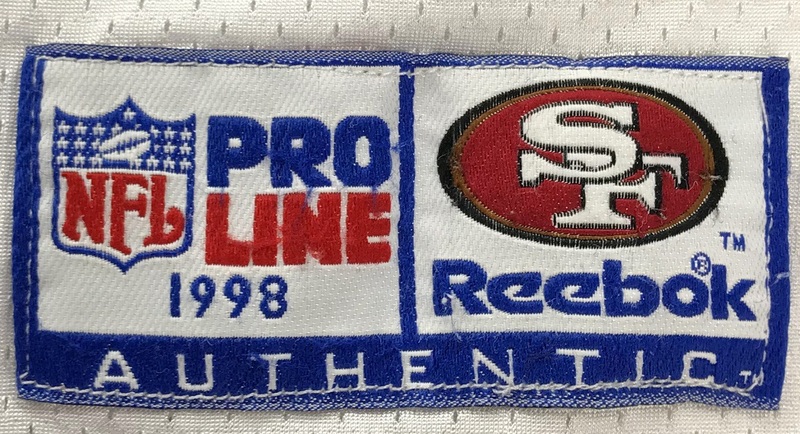 The front tail has an authentic Reebok NFL Proline Tag with the year 1998 on it. 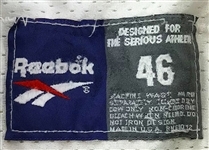 The gold Reebok pants are a size M and have a handwritten "80" in the inner front of the elastic waist. 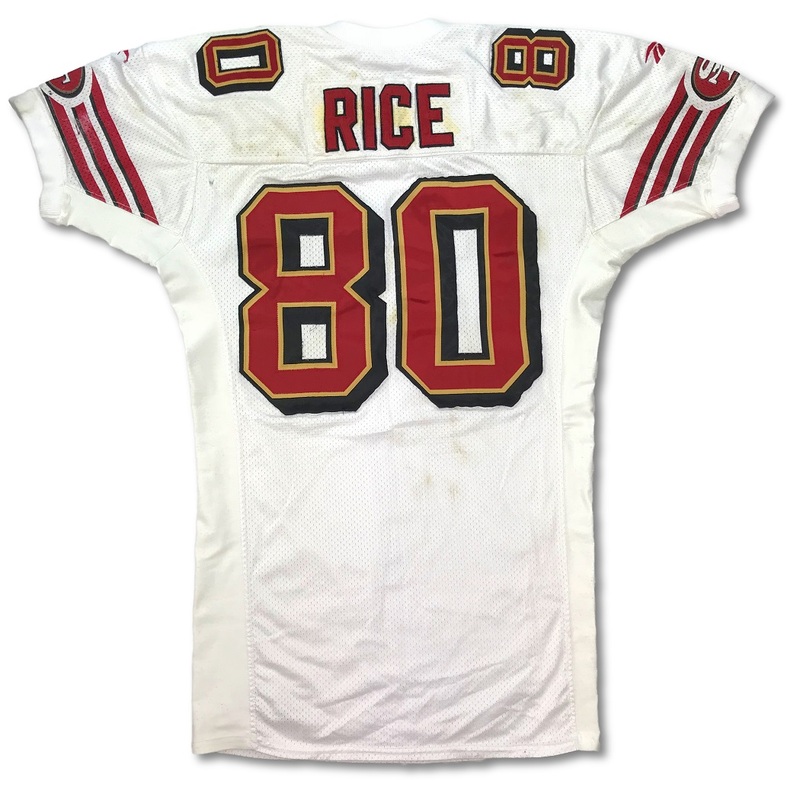 Jerry Rice is a 3-time Super Bowl champion, a 13-time pro bowler and he holds insurmountable receiving records that got him the vote as the greatest football player in NFL History. This uniform is accompanied with a LOA from game used expert Dave Miedema.